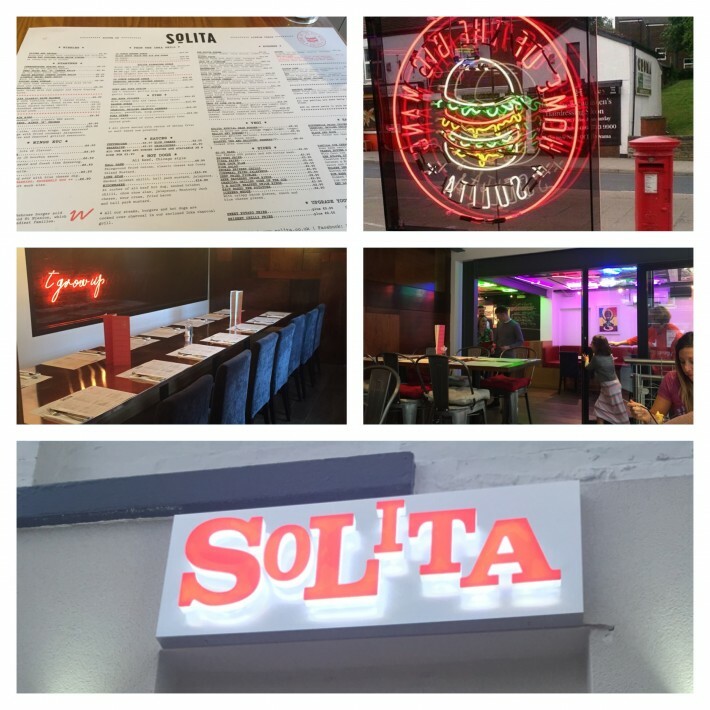 Solita opened in the Northern Quarter in July 2012. 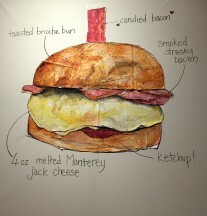 Quirky burgers and imaginative ways with bacon have taken them from strength to strength. 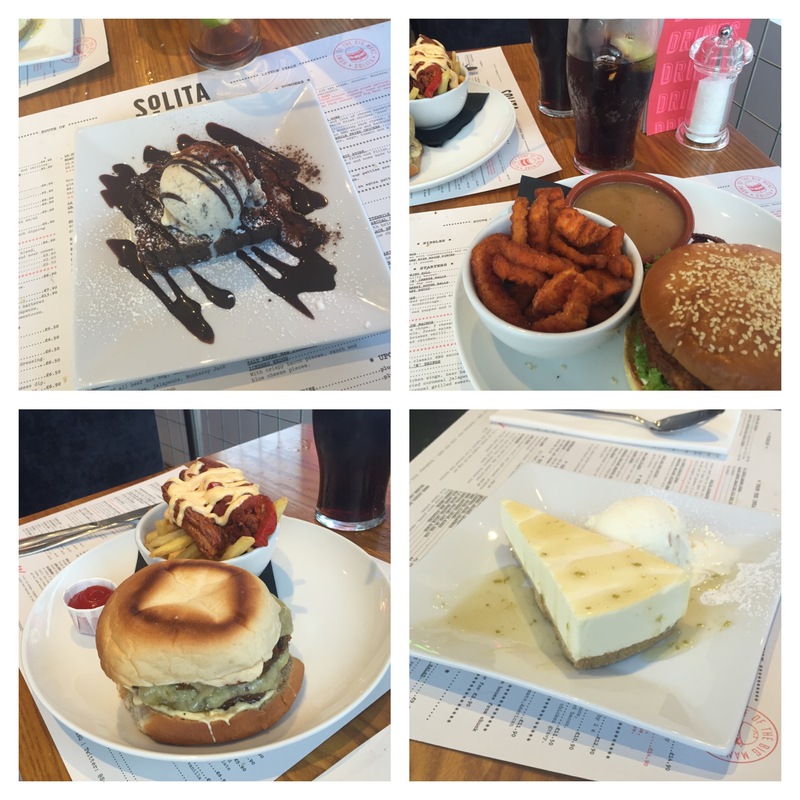 We were fortunate enough to be able to head over to Solita’s soft launch last week and check out how their new site weighed up in comparison to the cult following of the NQ branch. Of course, Prestwich isn’t the first non NQ site Solita has launched, only last year they opened a store in Didsbury and the Solita army seems to be growing ever since. After taking over the highly acclaimed Aumbry restaurant in Prestwich, we were eager to get inside and see how Solita had made their mark on Prestwich. The restaurant itself is pretty impressive. The one flaw we’ve found in the Northern Quarter venue is that the upper seating area can sometimes be a little bit of a squeeze, but the new site seems to have solved all those issues. Spacious, cool decor and a really relaxed atmosphere – what more could you ask for?! Whilst it was busy, you didn’t feel any sort of chaotic vibe, you could still sit back and relax and enjoy the copious amount of food ready to be delivered. The menu is pretty much the same as the Northern Quarter, with a few tweaks here and there. Some things we saw on the menu which we can’t recall seeing over at the trusty NQ were the Sea Bass Fillet, Double Down (we are 99.9% certain this was a special at NQ and not a permanent fixture like it is in Prestwich) and also the Key Lime Pie. So with 50% off, it was time to dig in. 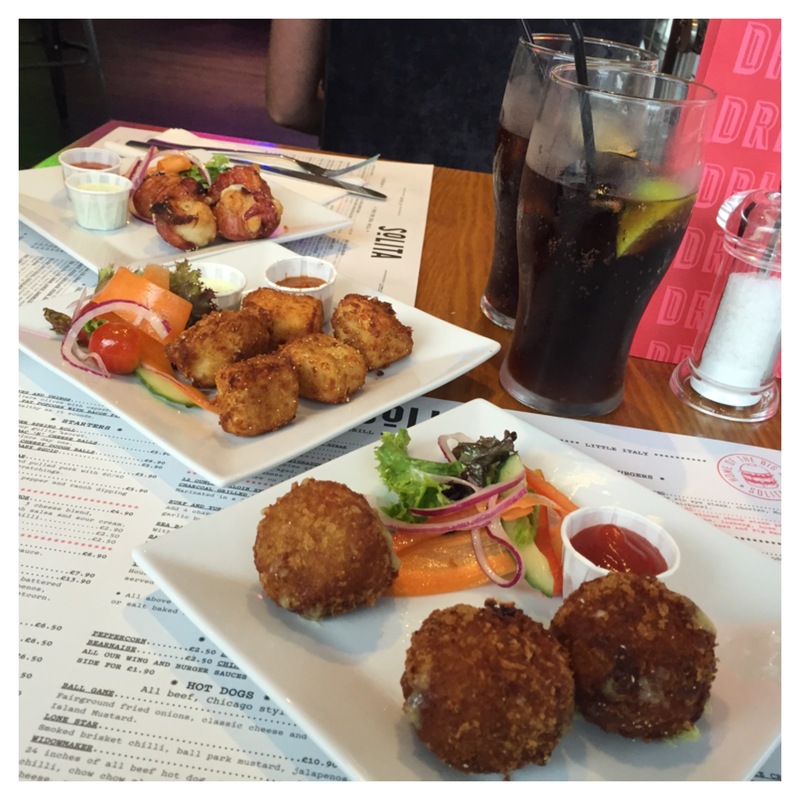 We went for a hearty amount of starters in the form of Mac ‘n’ Cheese Bites, Halloumi Bites and Bacon wrapped cheesy dough balls. Nothing can be faulted. But then, when can anything with this much cheese be faulted?! They were all cooked well and all certainly worth a taste, but if we had to pick our favourite it would have to be the dough balls. Dough balls can be somewhat ‘stereotypical’ now and again, but the novelty was certainly here at Solita. So well cooked and covered in bacon so there was no way they could ever get any better! On to mains. We went for the faithful ‘Manc-Hattan’ (Manchester and Manhattan rolling into one fantastic burger) and the ‘Buttermilk Fried Chicken’ burger. We’d never tried the chicken burger before but we have tried Manc-Hattan on our last visit. The only difference was that the black pudding was in one, sort of patty like style, rather than the two mini ones that were served at the NQ. While cooked very well and done very nicely, it was a little bit too much with all the other flavours happening on the burger (beef patty, pastrami, cheese and coney island mustard are quite a combination) and the two mini puddings would have been great. The chicken burger was delicious. Just delicious. Cooked well, great quality meat and just all round tasty. I wasn’t a huge fan of the chicken gravy, again, I thought it was a little too much. But I think chicken gravy is an acquired taste, so do not let that put you off! On the side we went for sweet potato fries (just as incredible as when we had them in NQ) and the chili brisket fries were just as good as well, if you like having toppings on your fries. With 50% off (and starving ourselves for the day so we could try everything) it would be rude not to try dessert. The Ice Cream Donut is one of their signatures, but we were just a little bit too stuffed for that one. *dessert sobs* So we went for a Peanut Butter Chocolate Fudge Brownie and Key Lime Pie. The Brownie was pretty tasty, but more just a taste of peanuts rather than peanut butter and the Key Lime Pie was good, but the texture was a little more like a cheesecake with a lime sauce drizzled over the top rather than an actual pie. Overall, we had a great time at Solita and the restaurant itself, we must admit, we prefer to the NQ space so we will certainly be back very soon! Lovely decor and very spacious, good atmosphere, great staff, amazing quality food! The desserts were a little bit of a disappointment, but this could be because the savoury food is just so good that nothing else can live up to those dough balls! For sure! 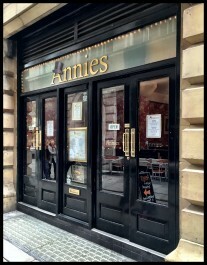 They also have a private dining room upstairs so it’d be a great spot for an occasion meal! Savoy Truffle is made up of two Manchester foodies who have a passion for...well, food! We graced the blogging world with our presence just over a year ago and we’re on a mission to try out just about every restaurant and bar that Manchester has to offer. You can check out our other foodie musings over at savoytrufflemcr.wordpress.com and we love twitter! So tweet us @savoytruffleMCR.